This afternoon I came across an AppleInsider article that talked about the rumored Apple tablet device once more, and once more they had a mockup of said device. don’t get me wrong, I love mockups of rumored Apple devices. I love looking at them and thinking about whether I will be buying them or not, and fantasize about the two of us together. but lately, people have taken no pride in their mockup work. they all look like crap! just look at this thing on the AppleInsider page. it’s a scaled up iphone! look at that bezel. it’s f-ing huge! nobody would like to hold this in their hands. stupid amateurs. that’s why today I became active and forged my own mockup version of the device. the results are here. I have taken some time and tried to calculate the screen resolution and icon sizes according to what I knew about the iphone and other devices of the same size. if people can be trusted, the, let’s call it iPod HD for the time, will sport a 10 inch display. i assumed the same 160 ppi as with the original iphones and an aspect ration of 16:10, like with all apple laptop screens. that got me to a resolution of either 1280×800px or, if they’re really into it, 1440×900px. I went with option one and built the plastic and metal around that. with my second image you can estimate the screen real estate, when you compare it to the original iphone icons. seems like a big screen now. anyway, I don’t want to talk to much about it. enjoy. I’m kind of excited to see how the thing turns out in the end. which we will probably know by 2010. I will also post this on twitter and facebook just to get my visitor count up. you have been warned. 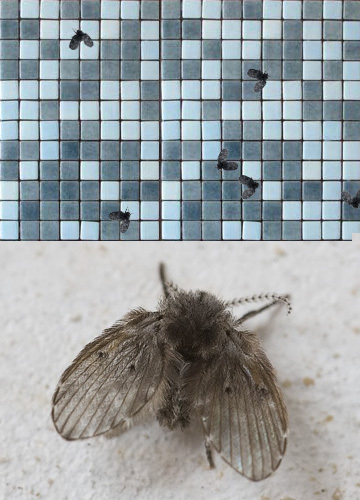 sie sind mir schon ein paar mal aufgefallen, meist im hallenbad in der dusche: eklige kleine schwarze fliegen. allerdings habe ich sie entweder zu hause wieder vergessen, oder konnte niemand beschreiben, was ich meine. jetzt hab ich mir mal die zeit genommen, zu recherchieren und sie besser kennenzulernen. offensichtlich handelt es sich um sogenannte schmetterlingsmücken. widerlich, ich weiss. aber wenn ich das hier festhalte, vergess ich sie wenigstens nicht wieder. scheinbar treten sie auch oft in hiesigen badezimmern auf, krabbeln aus dem abfluss und ekeln leute. abhilfe scheint zu schaffen wenn man kein wasser stehen laesst und alles gut trocken ist. alternativ kann man auch einen ganzen haufen giftige mittel in den abfluss kippen. zum glueck sind wir bisher von ihnen verschont geblieben. vielleicht wohnen sie nicht gern in solcher höhe.